I wanted to get the list out early this week since the Boca Raton Holiday Parade and the Christmas Tree Lighting at Downtown Delray Beach are tonight. I hope you are all enjoying the Holidays and getting into the mood. We have some big news, we took a camping trip to Disney World! 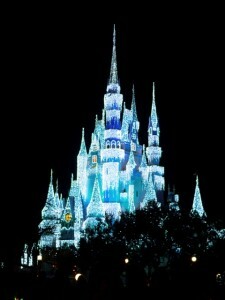 We camped at Fort Wilderness and went to the Magic Kingdom for Mickey’s Very Merry Christmas Party. We had a great time! I am halfway through writing the review now, so you can expect to see pictures and read about it very shortly! My pick of the week (going with the Disney theme) is Downtown Disney. Here is your link the full list of local events! I have listed below a few but there are many, many more. This entry was posted in Weekly Lists and tagged Christmas, disney, Florida, Fort Lauderdale, holiday parade, Lights, pompano by Cynthia Buckley. Bookmark the permalink.